My First Bunny is our favorite newborn gift! 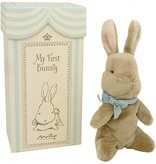 Whether this is given at a baby shower or just to expecting parents we know it will bring a smile to their face. The box is beautifully decorated with adorable designs only Maileg can create. 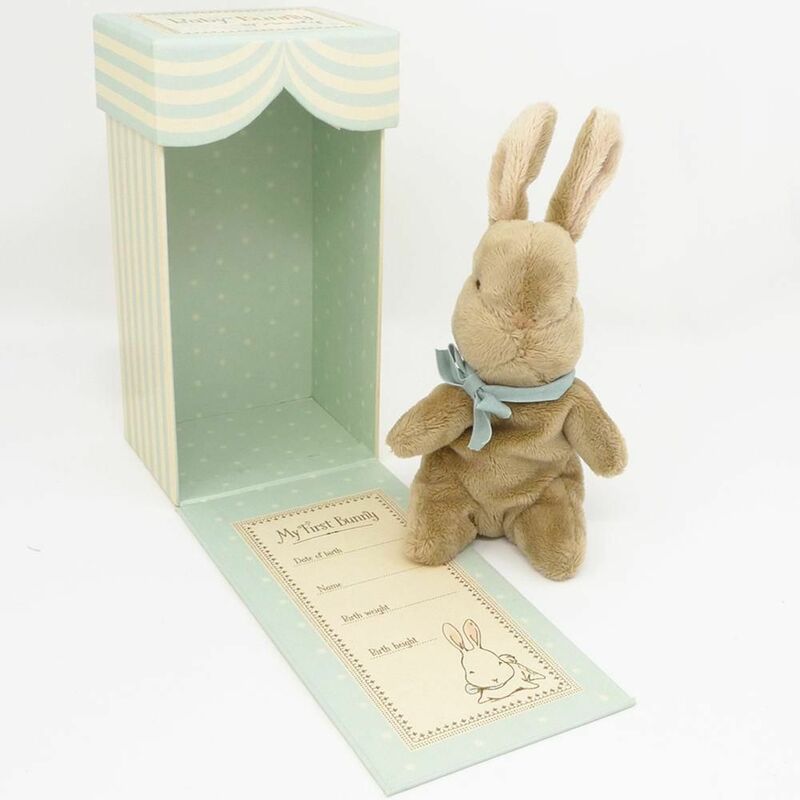 Open the inside flap and along with our teeny plush bunny you'll find blank lines where you can record the most cherished information about your new gift such as name and weight.